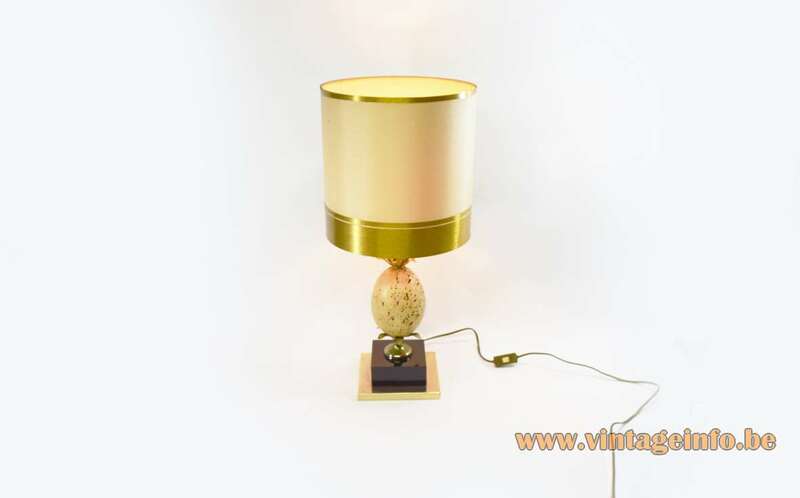 Materials: Square brass base. Pressed wood coated with black Formica. 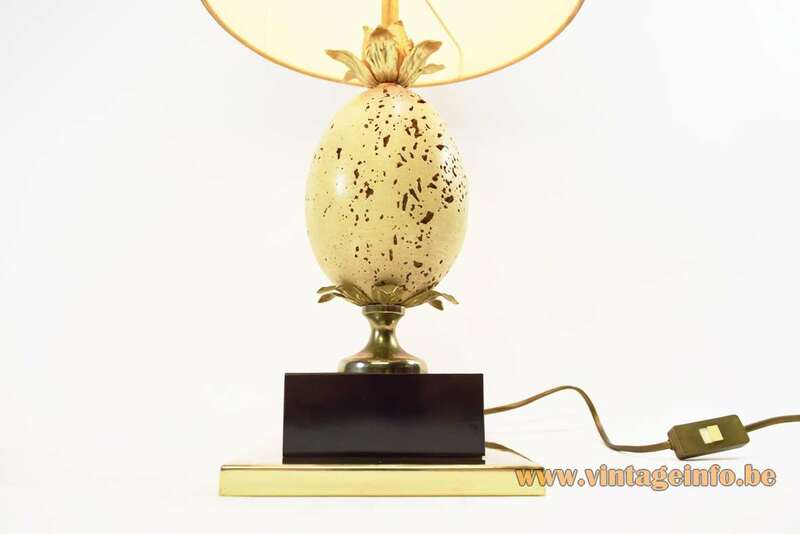 Brass parts and decoration, travertine pineapple/ostrich egg. Bakelite socket. Fabric lampshade. 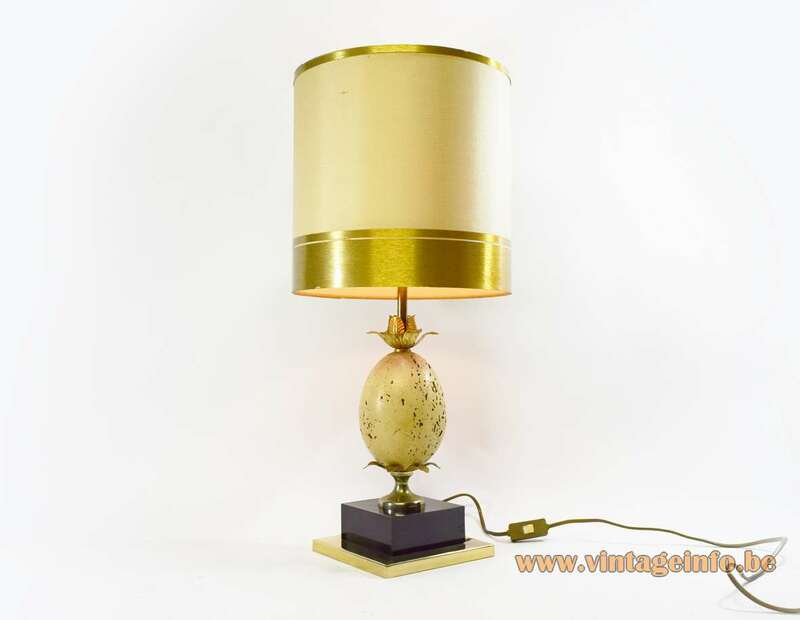 Other models: Sold with several different lampshades and also produced with a slightly different base. 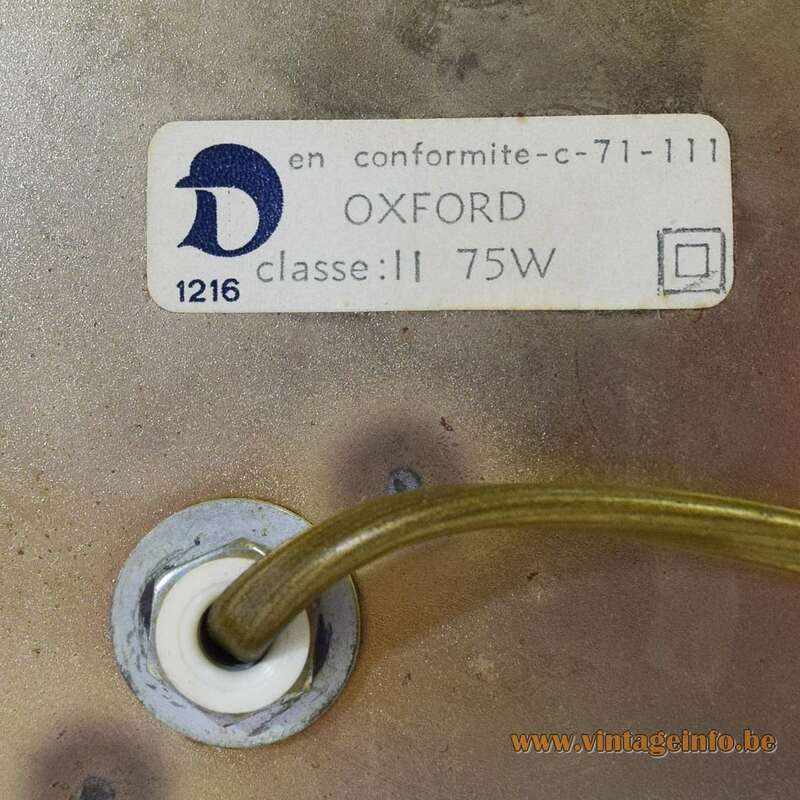 Name of the lamp: Oxford. “To dress the light so that it becomes a source of decoration” is the motto of the Le Dauphin company. The company name has it’s origin in the former name of the province were it is located: Dauphiné. Le Dauphin is a member of the Ateliers d’Art de France organization. 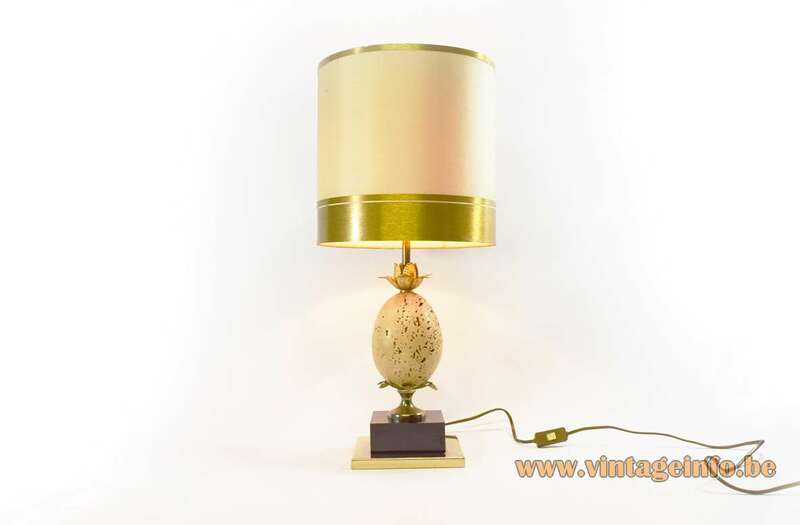 The French company Maison Charles made many lamps with an “ostrich egg” design. 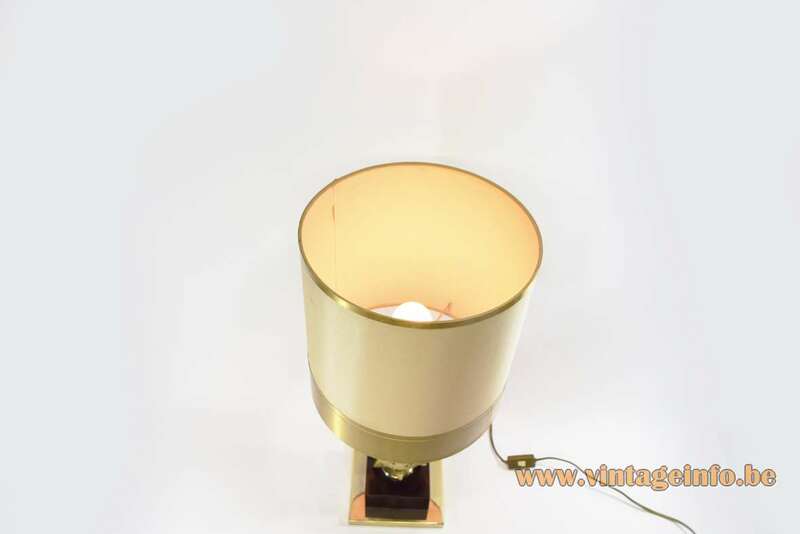 Today they still have some 9 type of lamps in production. 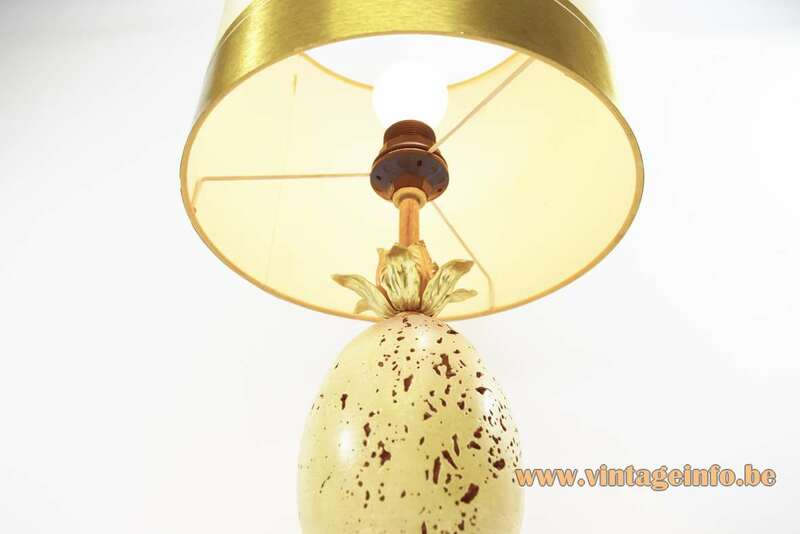 Search for oeuf (egg) on the Maison Charles website. 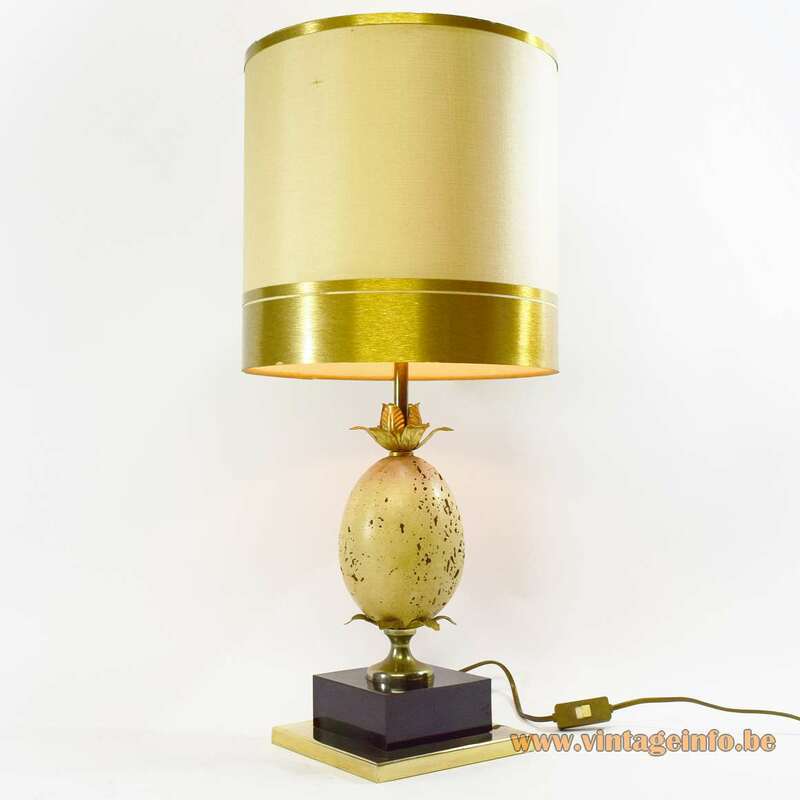 Also the Belgium company S.A. Boulanger made an impressive range of lamps in this style in the 1960s and 1970s.